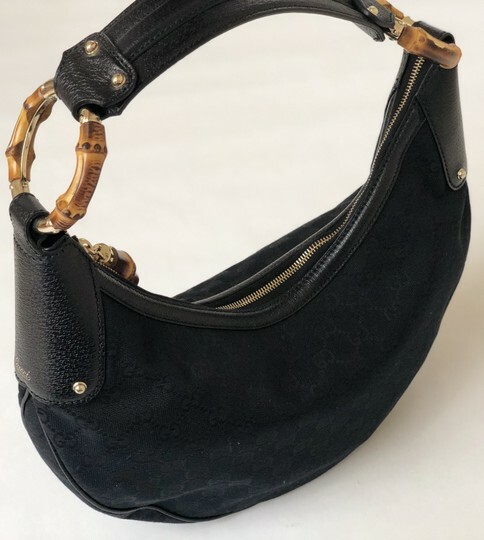 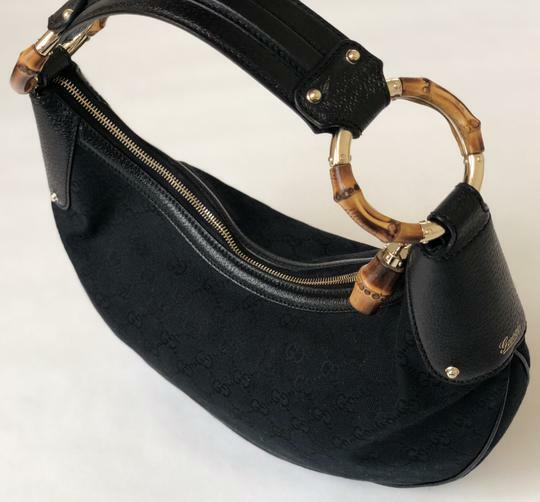 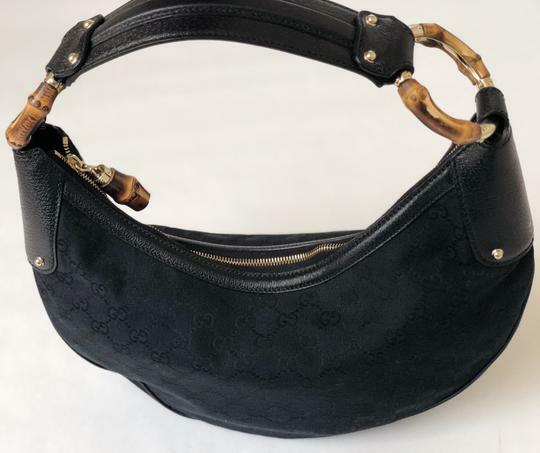 This vintage Gucci bag is in brand new condition and has never been used. 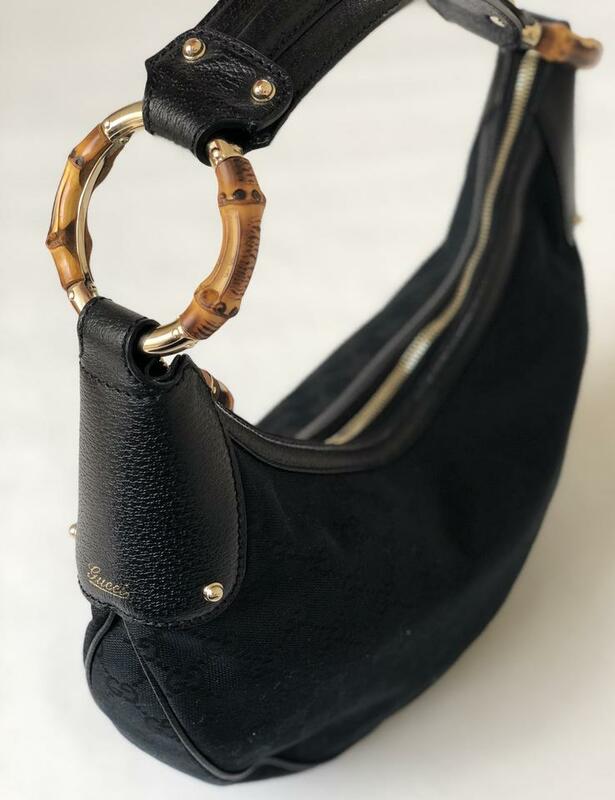 Black 'GG' monogram canvas and grained leather trim "Medium Bamboo Ring" hobo bag from Gucci. Single handle with large circular bamboo accents. 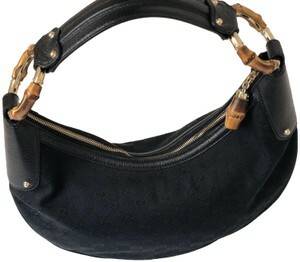 Top zipper for closure with a bamboo accent on the pull tab. 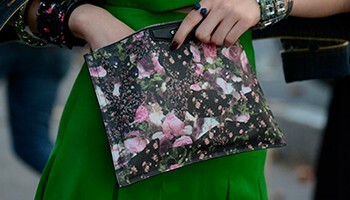 Interior lining features a zip pocket.